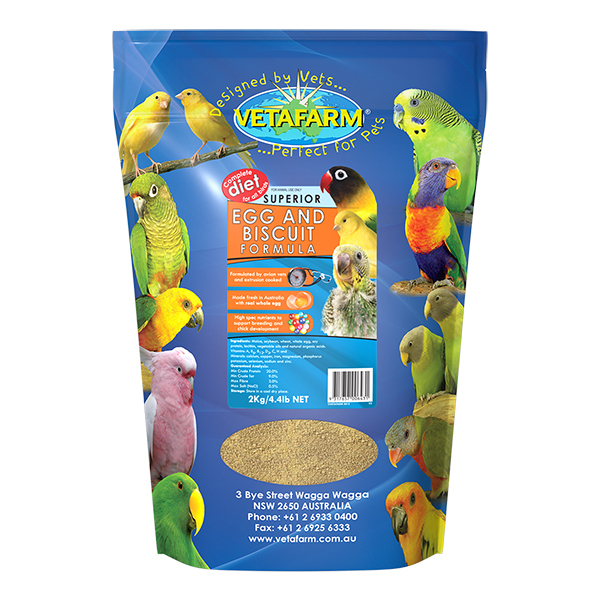 Includes balanced vitamins, minerals, calcium and amino acids crucial for breeding birds producing eggs and for the healthy development of young birds. 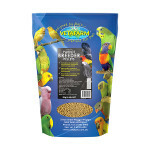 Includes appropriate levels of fat and protein to meet the high nutritional demands of breeding. Chicks raised by parents being fed Breeder Pellets will wean directly onto Maintenance Pellets. Breeding Australian and Asiatic parrots. 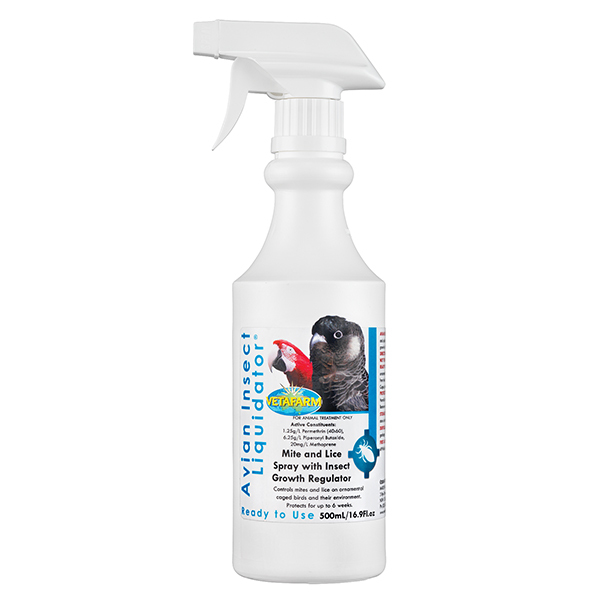 Also suitable for Exotic breeding parrots (e.g. South American parrots). Maintenance Pellets. 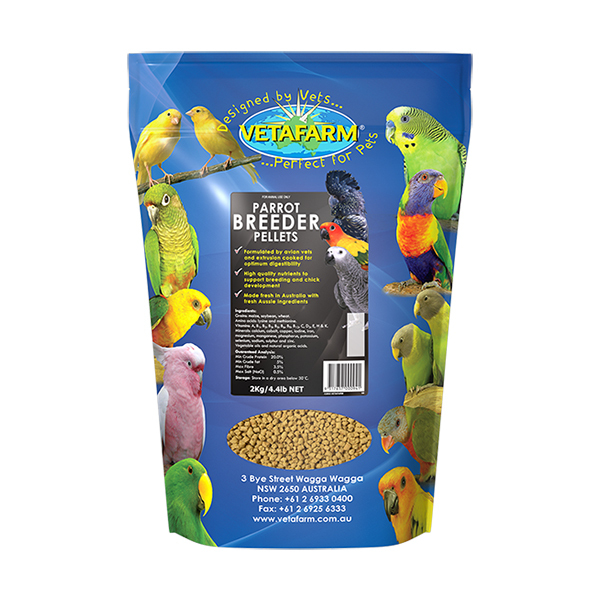 Maintenance Pellets should be fed during the regular season with birds being changed over to Breeder Pellets around 6 weeks before breeding season and being fed on this diet up until the chicks fledge. 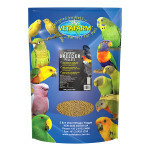 Parrot Breeder Pellets should be fed as a total diet, beginning approximately 6 weeks before breeding season and continued until chicks fledge. 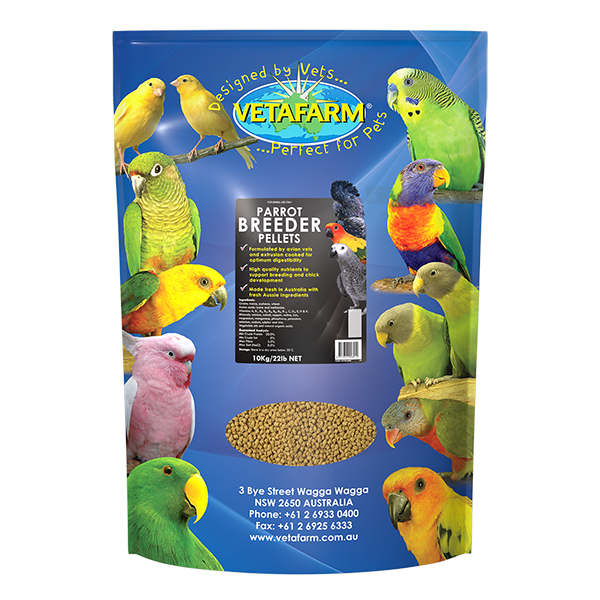 Although Parrot Breeder Pellets contain all the nutrition necessary for breeding it is recommended that the birds be given access to fruit, vegetables, and native vegetation as environmental enrichment. Chicks raised by parents being fed Breeder Pellets will wean directly onto Maintenance Pellets. 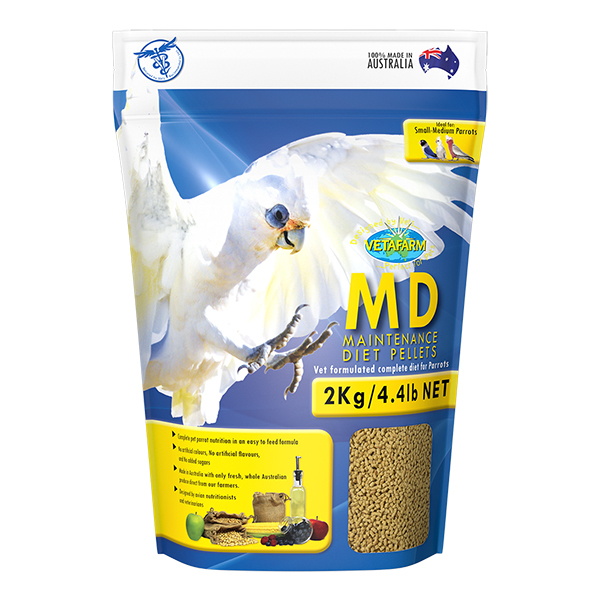 Whole Australian Grains (Maize, soybean and wheat), Amino acids (lysine and methionine), Vegetable oils and natural organic acids, Vitamins (A, B1, B2, B3, B5, B6, B9, B12, C, D3, E, H & K), & Minerals (Calcium, cobalt, copper, iodine, iron, magnesium, manganese, phosphorus, potassium, selenium, sodium, sulpur & zinc).